This morning I headed out early with Marija and headed down to Osborne to activate what I believed was Mutton Cove Conservation Park. Everything was going smooth sailing until I found out during the activation, that Mutton Cove was not a Conservation Park, and was actually a Conservation Reserve. 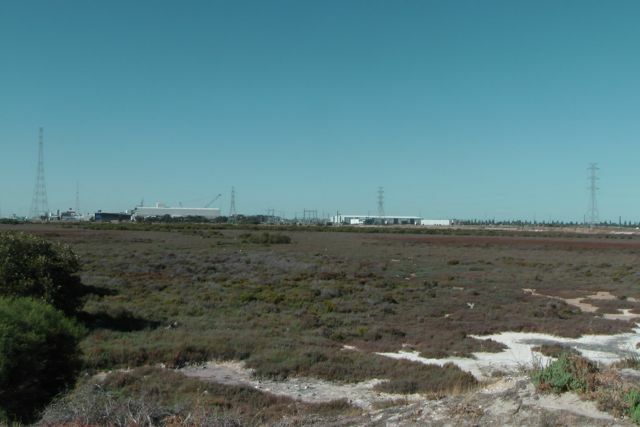 Mutton Cove Conservation Reserve is located in the industrial/residential suburb of Osborne, about 19 km north west of the Adelaide CBD. It is located on the Lefevre Peninsula, which was named by Governor John Hindmarsh in 1837, after Sir John George Shaw-Lefevre, who was one of South Australia’s Colonisation Commissioners. On driving down Mersey Road North passed the Adelaide Submarine Corporation, we found a small parking area on the eastern side of the road, which appeared quite new, and which had a ‘Mutton Cove’ sign. We stopped here briefly to have a look at the park. There was a break in the fence line and a walking track, but in the distance to the north, we could see a car parked at the end of a dirt road, close to the Port River. So we decided to try to head in that direction. We continued north along Mersey Road North, and found a dirt road just to the north of the Australian Submarine Corporation installation and Archie Badenoch Ct. We travelled to the end of the road, where there was a parking area on the shores of Light Passage, a section of the Port River. 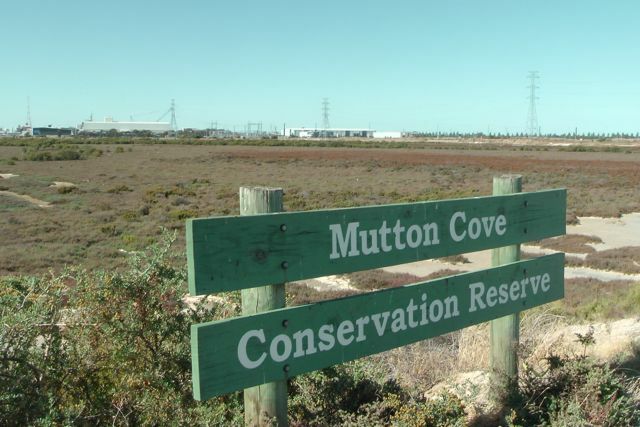 There was a sign which read ‘Mutton Cove Conservation Reserve’. This should have set off the alarm bells for me. However I had checked the internet the night before. Google Maps showed Mutton Cove as a Conservation Park. However from past experience I have learned not to rely on Google Maps. I have found that numerous South Australian Conservation Parks are not even recorded on Google maps. But what really threw me, was Mapcarta. I have found this to be an excellent resource. Mapcarta showed Mutton Cove to be a Conservation Park. And even ‘Weekend Notes’ which is also an excellent resource, referred to Mutton Cove as a Conservation park. It wasn’t until just after my first QSO with Col VK5HCF, who tried to spot me on the parksnpeaks site but couldn’t find Mutton Cove, that I thought to myself “Oh Oh !“. I immediately jumped on the trusty i-phone to check the parks list, and sure enough, Mutton Cove was not on the list. Lesson learned…..check the ‘official’ parks list. Don’t rely on the internet ! Netherless, this was an interesting place to visit. Although it is not the most aesthetically pleasing place, it does have a very good walking track around it, with interpretive signs. Sadly, the Mutton Cove area has been significantly degraded since European settlement in the area. Industrial development and dumping of rubbish has impacted on the area. During our visit, it was evident that many people have absolutely no concern whatsoever for the environment. Mutton Cove is the last remaining area of samphire and mangrove woodland remaining on the Le Fevre Peninsula. Three branches of Mutton Cove Creek weave their way through the park. However, during our visit, these were mostly dry. The history of the Le Fevre Peninsula itself is very interesting. The peninsula was considerably smaller when Europeans first settled the area back in the 1800’s. 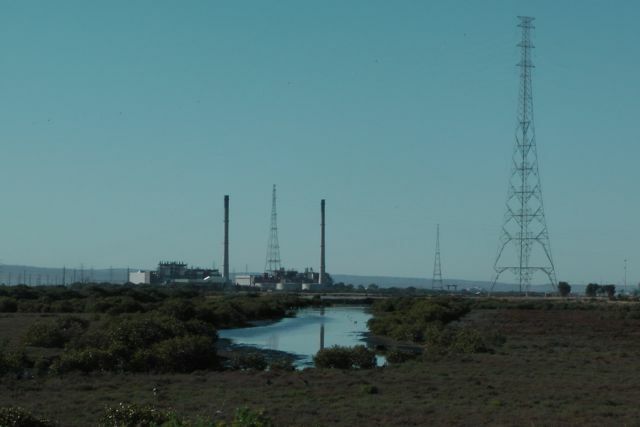 A large amount of fill has been placed on the peninsula between the early 1940’s and 1992 when dumping ceased. The Mutton Cove area is one of the few areas on the edges of the Peninsula that remains at natural surface level. Mutton Cove takes its name from Mutton Cove in Devonport in Devon, England. That being an area that looks very similar to the South Australian Mutton Cove. Captain Collet Barker, is the earliest recorded European to see the Port River and the Mutton Cove area. He had been sent by Governor Darling of New South Wales to locate the Murray Mouth. In 1831, from the top of Mount Lofty he spotted the Port River and believed that it was make a good harbour. I set up on the northern side of the park, under the shade of some mangrove vegetation. It was already very warm, despite being early in the morning. The expected temperature was to be 38 degrees C. After putting out a’is the frequency in use’ call on 7.095, I was greeted by the dulcet tones of Col VK5HCF from Mount Gambier with a beautiful 5/9 signal. This was followed by Ivan VK5HAS who was initially 5/5, but suddenly crept up to 5/9. It was like somebody had turned on a switch. David VK5KC, John VK5BJE, Brian VK5FMID, and Tim VK5AV followed, all of whom had very good signals. After packing up, Marija and I decided to go for a walk around the park. There are some interesting shipwrecks within the park including the ‘Excelsior‘ and the ‘Jupiter‘. Looking around at the park, and the relatively dry Mutton Cove inlet, I wondered how the ships even got to where they were ? The original Mutton Cove Creek was quite deep. 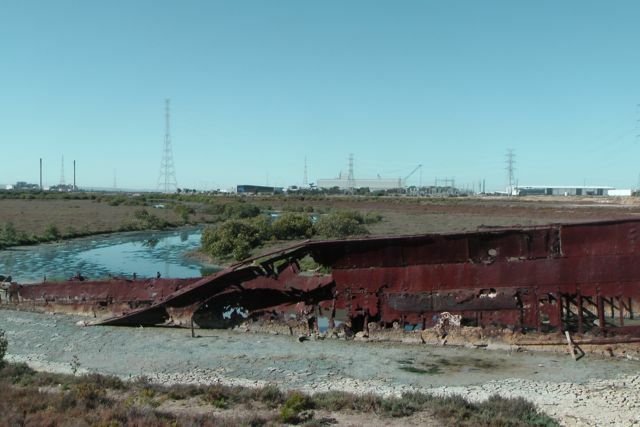 The first wreck is that of the ‘Excelsior’ which initially worked in New South Wales and Tahiti before arriving in South Australia during the early 1900’s. The Excelsior was originally owned by flour millers John Darling and Sons, and later the SA Farmers Union Co-operative. 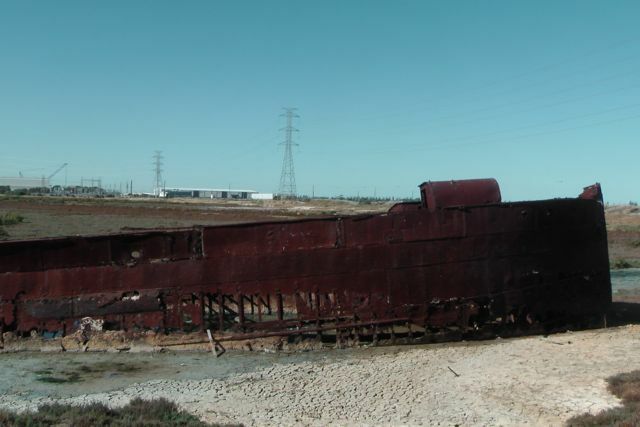 By 1933, she had been purchased by the SA Harbors Board and had been converted to a coal hulk to service the steamer dredges working in the Port Adelaide region. However when diesel powered ships replaced coal fired vessels, the Excelsior was laid up, and abandoned at Mutton Cove. She was floated right up the Cove to her current resting position on the spring tides. There is also the wreck of the ‘Jupiter’ but we did not find this. Apparently it is located mostly buried in the mud in the southern section of the park. I worked a total of 6 stations, before deciding to pack up and head off to Port Gawler. I decided it wasn’t worth the effort of explaining that Mutton Cove was not a Conservation Park to all the ‘hungry’ Park Hunters. 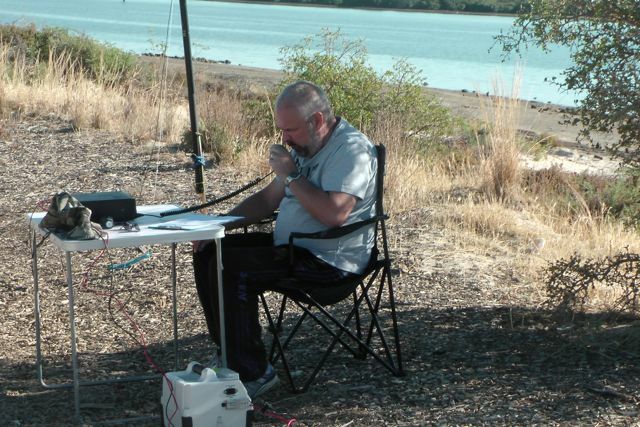 Sad really, because conditions on 40m SSB at this time appeared to be very good. Col VK5HCF; Ivan VK5HS; David VK5KC; John VK5BJE; Brian VK5FMID; and Tim VK5AV. 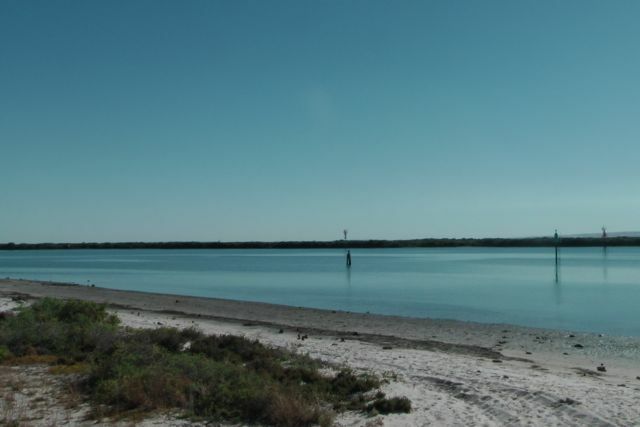 There are some very interesting sites on the internet regarding this park, and the associated shipwrecks that can be found within it. The park also has a Management Plan, which has some very interesting information on the park. It can be found at…..
Google maps, I have since found, is extremely unreliable re parks. I use either Protected Planet or Location SA Map Viewer.